Startup, Scaleup, Screwup is an expert guide for emerging and established businesses to accelerate growth, facilitate scalability, and keep pace with the rapidly changing economic landscape. The contemporary marketplace is more dynamic than ever before--increased global competition, the impact of digital transformation, and disruptive innovation factors require businesses to implement agile management and business strategies to compete and thrive. This indispensable book provides business leaders and entrepreneurs the tools and guidance to meet growth and scalability challenges head on. 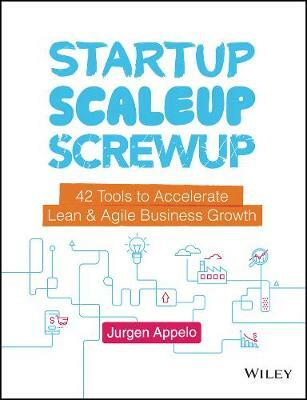 Startup, Scaleup, Screwup: 42 Tools to Accelerate Lean & Agile Business Growth is a must-read for entrepreneurs, founders, managers, and senior executives. Author Jurgen Appelo shares his wisdom on the creative economy, agile management, innovation marketing, and organizational change to provide a comprehensive guide to business growth. Practical methods and expert advice make this book an essential addition to any business professional's library.